Travelling to or from Australia? My Baggage offers super fast, convenient and affordable luggage shipping services, allowing you to travel luggage free. My Baggage delivers luggage to over 200 countries worldwide, making it the perfect luggage shipping solution if you’re studying abroad, travelling on business, holidaying, or even relocating to Australia. Anyone can avail of our great prices and excellent services! My Baggage offers convenient door to door services, as well as full online luggage tracking. Find out more information about shipping your excess baggage to Australia. Australia – or perhaps more commonly referred to as OZ, or the Land Down Under, just so happens to be one of the most popular holiday and emigration destinations in the world. 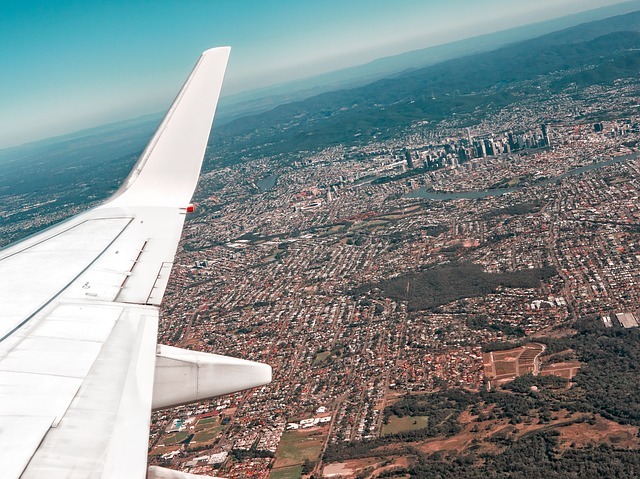 Each and every year, thousands of people travel to and from Australia for numerous reasons; whether it’s to relocate, work, study abroad, or to simply enjoy a relaxing holiday. Without a doubt, Australia is by far the place to go if you’re seeking a different, adventure kind of holiday. As well, it’s the perfect location to start a new life for you and your family. With a number of great universities, it’s also a fantastic place to further your academic horizons. With favourable temperatures throughout the year, vast and varied landscapes, unique wildlife and white-sand beaches; Australia is a one-of-a-kind destination. There is an abundance of things to see and do in Australia, from visiting famous landmarks to snorkelling in the Great Barrier Reef. It’s the perfect destination if you crave the adrenaline rush of extreme sports; or if you simply crave relaxing, quality-time at the beach. The beaches in Australia range from epic, to downright heavenly. The Twelve Apostles in Victoria, Australia is undeniably one of the most spectacular stretches of coast to be found anywhere on earth. Or you could try the white-sand and palm-studded islands of Queensland. Even the big city beaches are great – and how many places can say that? To send a care-package to a loved one in Australia. 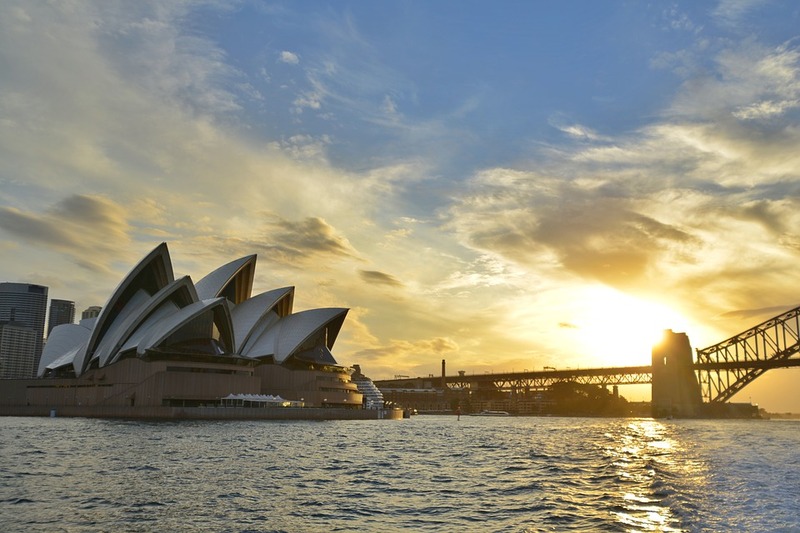 The journey to the Land Down Under is long-haul and, unsurprisingly, there are those who wish to avoid the nightmare of hauling their suitcase or heavy bags on such a long, tedious journey; from their home and through train stations, taxis and airports. My Baggage’s convenient services make for the perfect alternative to airline baggage. Not to mention, when you book a bag on your flight, you need to keep in mind your airline’s restrictive, less-than-generous baggage weight allowances when packing up all of your things. It means you may have to make the sacrifice that no one wants to make; leaving many of your beloved personal belongings behind. Even then, you might still get a nasty surprise at the check-in desk, meaning you’ll have to cough up extortionate excess baggage fees. When travelling long-haul, for any period of time, it’s just not ideal. If you’re a student travelling to Australia to study abroad, or perhaps if you are emigrating with your family; our generous baggage weight allowance and your ability to send as many items as you like with us can come in particularly useful. It allows you to bring more possessions with you than if you were simply relying on a few checked pieces of luggage. Shipping your excess baggage to Australia with My Baggage also makes that dreaded, tedious wait for the appearance of your suitcase at the luggage carousel in the airport a thing of the past. (Not to mention the possibility of your suitcase not appearing at all, which is every traveller’s worst nightmare!) My Baggage ships your luggage quickly and safely. Whether you’re off to Australia to study abroad for the duration of your degree course, for an academic year, or even just a term; you can send everything you need straight to your new home on campus with My Baggage. Perhaps you’re off to study at the University of Melbourne, or the University of Sydney. Wherever it may be, My Baggage can help you get all of your personal belongings there quickly and safely; and for a price you can afford. Our online booking system and door to door collection and delivery makes our service incredibly easy and convenient for busy students. And with My Baggage, you don’t need to worry about waiting weeks for your important study materials to arrive. We offer super fast transit times; with Express services available to and from all universities in Australia. The My Baggage team is made up of former students and recent graduates, so we understand how stressful the prospect of moving to university can be – not to mention moving to university overseas! Therefore, it is our top priority to make your experience as stress-free and as easy as possible. Our convenient student shipping services to Australia allows you to relax and enjoy what should be one of the most exciting times of your life. Want to know what other students think about My Baggage? You can read our reviews. Do your research on Australian quarantine and customs. With My Baggage, you can ship goods to Australia quickly, conveniently and at a low cost. Although we specialise in luggage shipping, we can help you transport all kinds of goods. Perhaps you have a loved one living in Australia, or perhaps you are living in Australia with family residing overseas; why not send a care-package with My Baggage? At My Baggage, we don’t just ship personal effects and suitcases across the water – we can send parcels and gifts, too. Before you place your booking, be sure to do some research into Australian customs and quarantine; particularly when it comes to sending gifts. Make sure you invest in a new sturdy, double-walled (or even triple-walled) cardboard box and cushion items with plenty of internal packaging so as to avoid any damage in transit. Transporting oversized items such as bicycles and golf clubs internationally to a destination such as Australia can a head-scratch. On the surface, it can seem like a difficult process; not to mention an expensive one. Thankfully, My Baggage can help. For example, there are a number of great golf courses to enjoy in Australia, such as Alice Springs, Macquarie Links and Sanctuary Lakes. Rather than having to rent your gear when you get there, My Baggage allows you to transport oversized items such as golf clubs all the way to Australia so that you can use and enjoy your very own equipment. Shipping your oversized item to Australia with My Baggage is the easiest way to avoid extortionate oversized/overweight baggage fees from your airline. We help you to avoid having to haul your bicycle or similarly oversized item from home and through train stations, taxis and airports. Sending oversized items with My Baggage is an efficient and cost-effective way of getting your items to their overseas destination quickly and safely. Note: if you are shipping your bicycle to Australia with My Baggage, it will need to be dismantled and packaged up in a box so that we can transport it easily and safely. Your local bicycle shop should be more than happy to do this for you for a small fee. 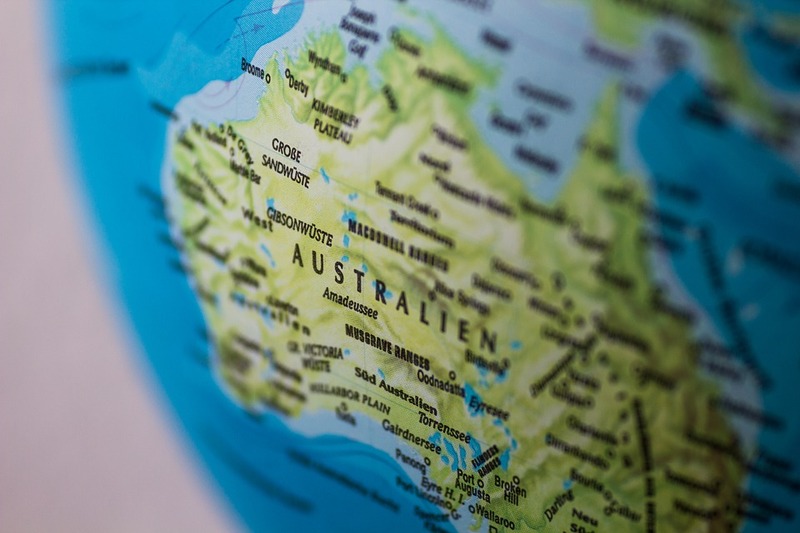 When shipping items to Australia, you are legally required to complete and send a customs invoice with your shipment. Whether you’re sending personal effects or a care-package as a gift; if your shipment does not have a customs invoice attached, it will not make it past your local country border, and you may have to pay return charges to get it back. My Baggage will automatically provide you with the appropriate customs documents for you to complete, print and sign when you send your luggage to Australia with us. Generally, My Baggage shipments clear customs in a timely manner, free from duties and taxes, as most countries offer a generous duty-free allowance for personal effects. However, as customs processes and allowances are different around the world, and because My Baggage has no association with any customs authority; we do advise doing your own personal research into Australian customs regulations and quarantine before booking your shipment to Australia. Please make yourself aware of potential customs duties in Australia and be sure to follow any and all advice provided by customs directly. It is important to be aware that any shipments containing any restricted items such as foodstuffs, seeds/nuts or wooden products may result in the shipment having to be cleared by Australian quarantine, which can result in customs delays and charges. Thinking of sending a gift to a loved one in Australia? Gifts worth up to the value of $1000 are permitted to enter Australia free from duty and tax. Do note that all shipments, regardless of gift status, are subject to inspection by Australian Customs & Agriculture. My Baggage gives you the freedom to ship your personal belongings anywhere in the world, meaning you can send almost everything you would typically find in a holiday suitcase. However, for security and customs reasons, there are certain items which are prohibited; as is standard with most, if not all, shipping companies across the world. As import allowances, security and customs processes differ around the world; we recommend that you do your own personal research into what may be prohibited in your destination country. Australia, for example, goes to great lengths to protect its stunning natural environment and habitats from harmful diseases and pests; this means that many products, goods and even some packaging materials are prohibited to use. When shipping your belongings to Australia with My Baggage, we recommend using either suitcases or strong cardboard boxes. Or, of course, you can use a mixture of both! Booking your luggage shipment to Australia with My Baggage is easy. Our easy to use online booking system is available 24/7 and takes just a few short moments to complete. Simply start by getting a quick quote straight from our homepage. You can ship a suitcase or box from the UK to Australia for as little as $160 – and we have dozens more routes! When you send luggage with us, we make sure that you’re always kept in the know. You will be given access to full online luggage tracking information, which will allow you to monitor the progress of your shipment every single step of the way. You’ll even be notified when your item is out for delivery, so you’ll know exactly when to expect it. What’s more, during our booking process you’ll be given the option to opt-in for SMS and email notifications, which means you can easily stay up to date, even whilst on the go. Cheap luggage shipping services to and from Australia. My Baggage offers affordable and convenient luggage delivery services for everyone; whether you’re a business user, a holiday-maker, an expat or simply moving house. No matter your reason, absolutely anyone can take advantage of our competitive prices and excellent services. In fact, many savvy business users regularly avail of our low cost and convenient shipping services in order to relocate their employees all over the world.